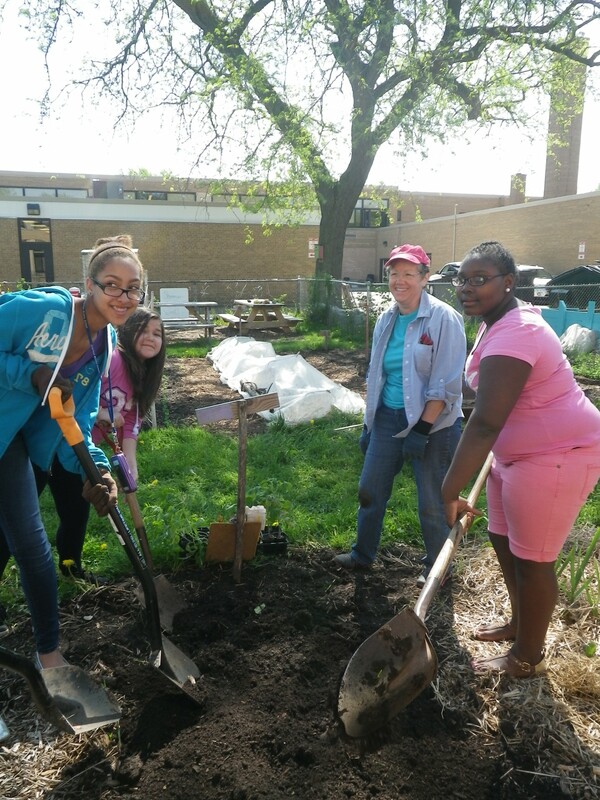 MGVs throughout the state work with local K-12 schools on gardening projects to enhance curriculum; guide area 4-H groups, FFA or other youth in preparing and displaying horticulture projects; and participate in many other youth gardening projects and programs. 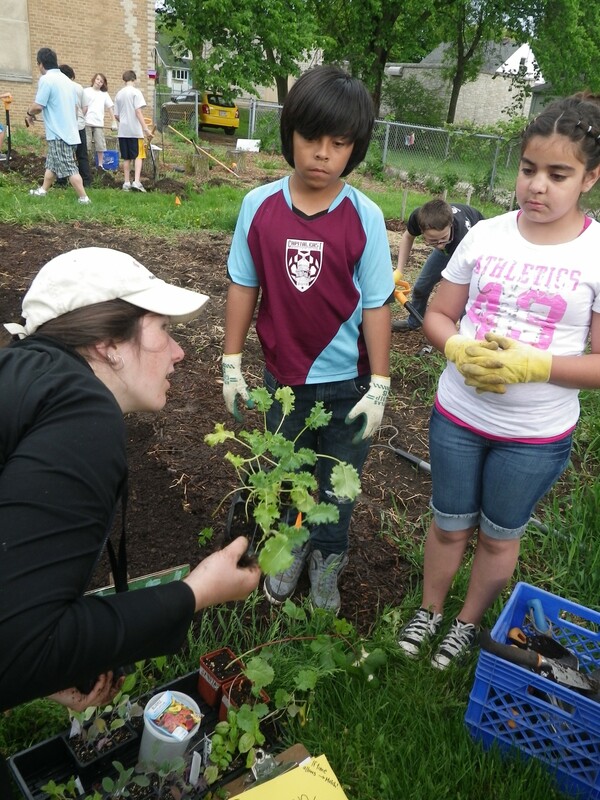 Youth education provides horticulture training and information to teachers, students and the community. When working with youth, it is important to be aware of the two basic parts of 4-H youth development, which are teaching new knowledge, as well as fostering learning to use the knowledge through experiences. We encourage MGVs to contact staff in the 4-H youth development office sor suggestions, encouragement, and support when developing programs for young people. It is required that all MGVs complete the Mandated Reporter Online Training before participating in their volunteer projects. Master Gardener Volunteers plant with elementary school students. 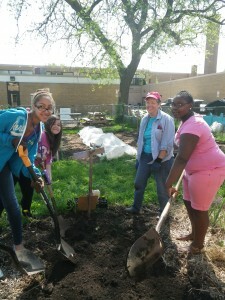 Master Gardener Volunteers work with students at a Hayward, WI, elementary school.